No. 7555 - Union Pacific - Eau Claire, Wis. 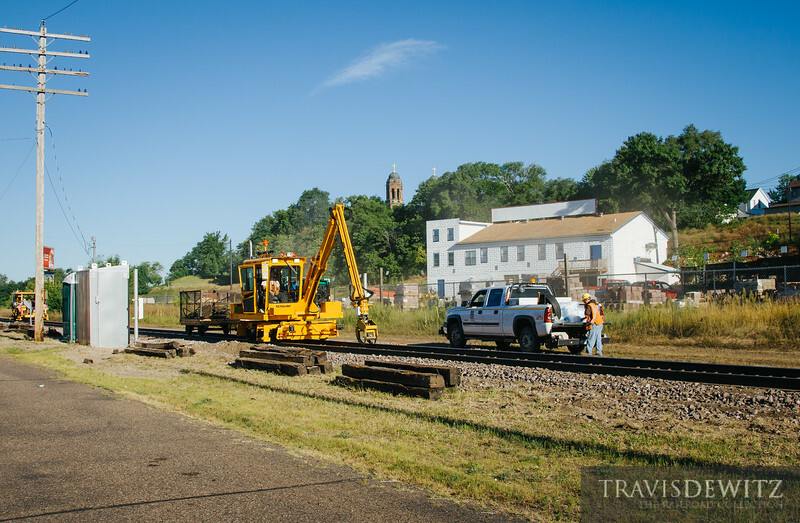 The 1st phase in upgrading the Union Pacific's Altoona Sub included wooden tie replacement. This photo was taken off Putnam Street in Eau Claire, Wisconsin.